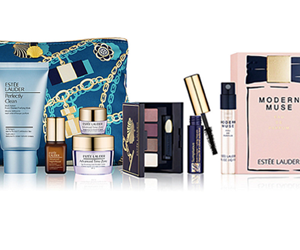 For a very limited time, Dillard’s is offering a monster of a free gift from Estee Lauder. 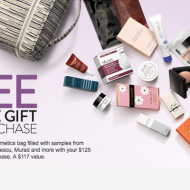 First, if you spend $35 or more, you’ll qualify to receive a free 7-piece gift set which includes a deluxe travel sized Perfectly Clean cleanser, Advanced Night Repair Synchronized Recovery Complex II, Sumptuous mascara, Modern Muse Eau de Parfum spray, and signature pouch, plus your choice of eye shadow palette and moisturizing duo. All worth over $100! Whaaaaat…! But it doesn’t end there. 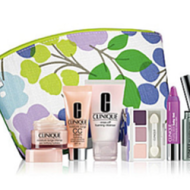 If you spend over $70, you’ll also receive 3 additional long lasting lipsticks as an added bonus. No Way! Shop now, this gift is only available while supplies last!